Our Sanctuary Choir assists in leading worship Sunday mornings. We invite and encourage anyone who would like to sing in the choir, but also sit with the family to feel free to come up to the chancel for the anthem and then return to the congregation for the remainder of the service. 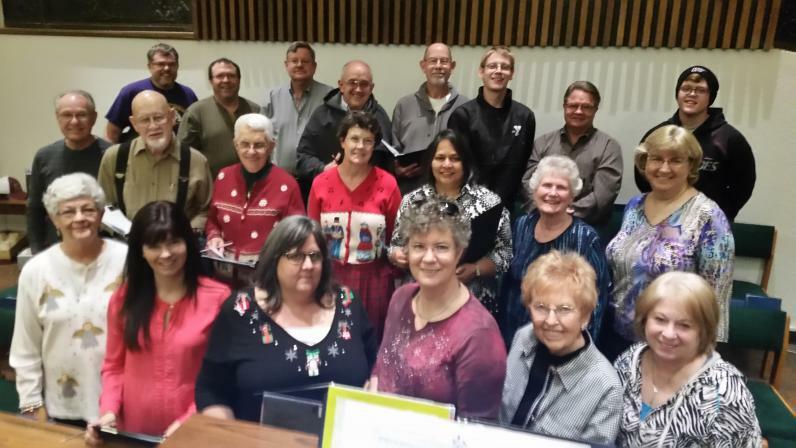 The choir rehearses on Wednesday evenings, beginning at 7:00. We take a much-deserved break during the month of June, resume rehearsals in August and begin singing in worship again in September During June and July and August, the members of the congregation are encouraged to offer special music during Sunday worship. 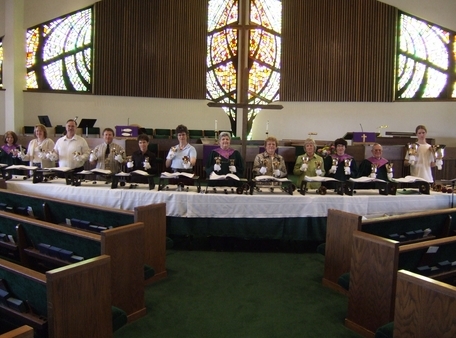 Our Adult handbell choir, Celebration!, rings in worship approximately every 6 to 8 weeks. They also join with the choir for either a Christmas concert or a Canata each year, play at Easter services, and attend at least one handbell festival each year. This year’s bell festival was held at Grace in February. We have a wonderful time – join us! Celebration! has performed all over the state of Texas, in New Mexico, and in Piedras Negras, Mexico. Rehearsals are on Tuesday evenings, beginning at 7:00.